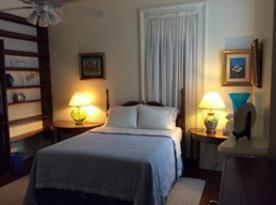 More than a room and bath... La Maison Vacation Rental is an in-town mansion built in 1852. Architecturally, it is a classic two story Greek Revival Italianate townhouse with a double-galleried balcony and side bay windows. 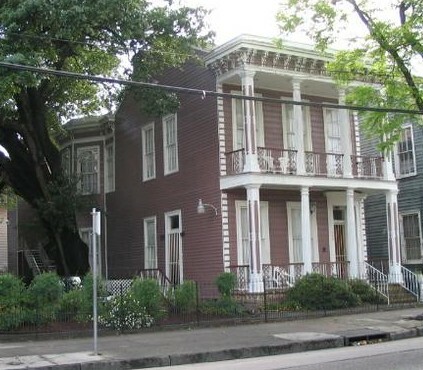 Originally, the property was a single family home with an attached carriage house (known as the slave quarters). Total privacy.... free access to Wi-Fi and free off-street parking. Experience living in a 164 year old mansion, receiving amenities and services you deserve, and participating in cultural diversity - matched no where else in the USA. Simply pack your bags and come home. Where luxury is affordable... that is designed to fit your budget and taste. Sleeps up to eight persons. We accept PayPal and personalized/ numbered checks on USA banks. Our vacation rental apartment is self contained. Basic cleaning supplies, tools, etc. are provided in the apartment. The accommodations consists of 2 master bedrooms with queen size beds, 2 tub/shower bathrooms, a living/dining area, and a breakfast bar over-looking the equipped chef’s kitchen. In the executive bedroom the windows/door open onto the balcony. These ceiling to floor windows invite you to step out onto the balcony: enjoy the coming and going of the neighborhood residents on Jackson Avenue or watch the Zulu parade on Mardi Gras Day. The unit is appointed with family heirlooms, antiques, and the owner’s 60 years collection of prints, paintings, and artifacts. A touch of class: hand ironed linen, fine china, stemware and thirty years of experience in the business. In 1986, the property was meticulously restored into three luxury corporate apartments and an onsite owner’s quarters. The original floor plan; 12-14 feet ceilings with ceiling fans; the French doors; and the window/doors on to the balcony were restored and continues to be maintained. Location is Ideal. 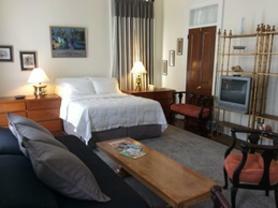 La Maison Vacation Rental is situated on the edge of Central City/Lower Garden District. It is two blocks from the historic St. Charles Avenue streetcar which is the route for all major Mardi Gras parades. 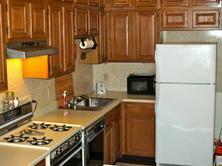 Guests are within walking distances to restaurants, shops, and ten miles of shopping on Magazine Street. On the St. Charles Avenue streetcar, you are within minutes to the Central Business District, French Quarter, Harrah’s Casino, Superdome, and the Morial Convention Center – 10th largest in the United States.